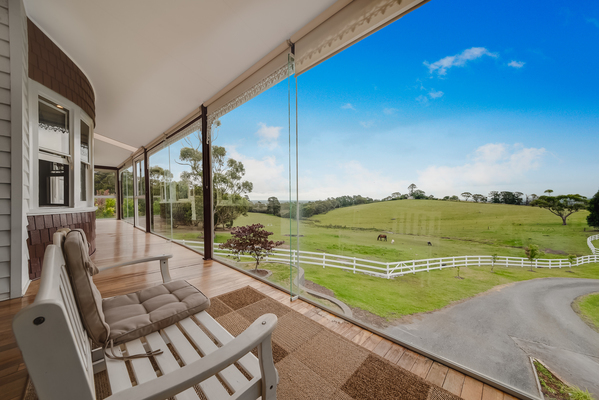 This is a rare opportunity to own a stunning home with soaring views over post and rail fenced paddocks. Based on 10 acres (approx. 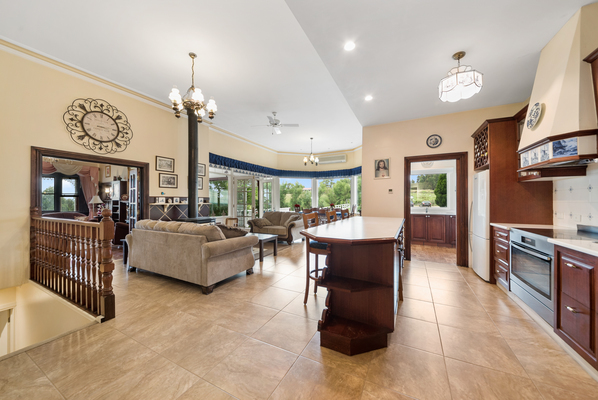 ), this exceptional lifestyle property includes a self-contained barn and workshop, ample shedding, natural pond and a large greenhouse. 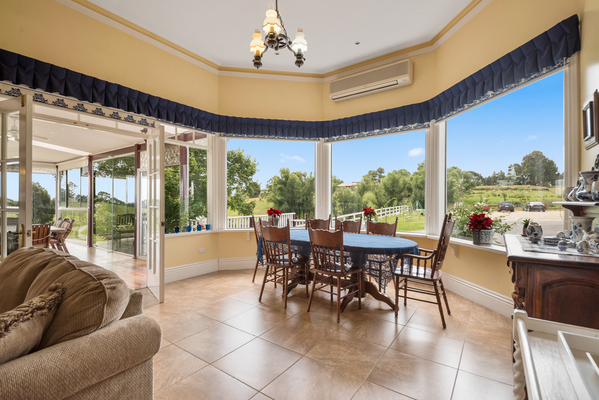 The main house features double glazed windows, high ceilings, Murray River pine floors, underfloor heating in the main living area and a ducted vacuum. Additional features of the property include a powered shed (approx. 101sqm), an undercover area at the back of the barn (approx. 8.4 x 7 metres), greenhouse (approx. 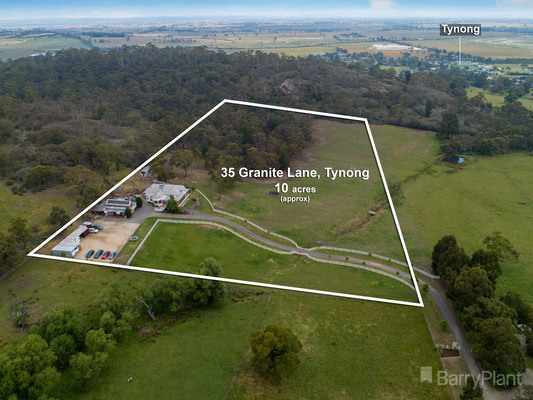 8.4 x 7 meters), 5KW solar panels, solar and electric hot water system in the main house, three carports, mains water and fruit trees. 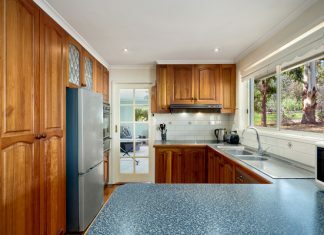 Agents Megan and Matt say that it’s not often that they are privileged to showcase a home of this stature.